We're just over 5 weeks away from the launch of Resort Boss: Golf! Join us for our first update of 2019, which arrives in the form of our second gameplay trailer! The video dives into playing golf for yourself, testing your courses before opening them to the public, and speaks about how having courses that are just the right amount of challenging impacts customer ratings of your golf resort. 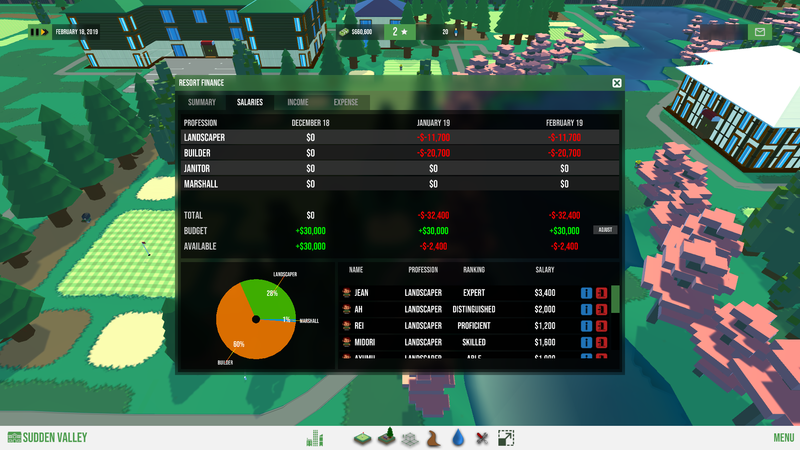 As we get closer to launch we have plenty more updates planned, including a detailed look at the game's management and tycoon elements. On Thursday 17 January at 2:30pm GMT/6:30am PST, we will be hosting an official live stream for Resort Boss: Golf for a couple of hours, demoing the opening hours of the game, and taking you up to achieving a 2-star resort. 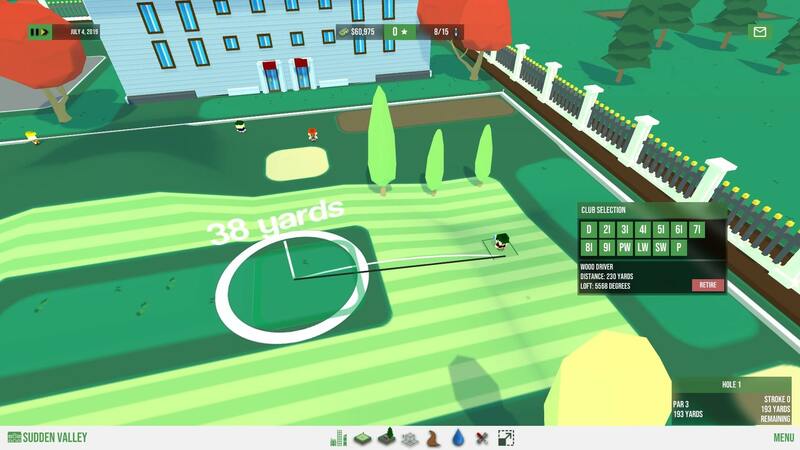 This will be the world premiere of uncut Resort Boss: Golf gameplay, so make sure to tune in live by visiting the game's store page, where we will be streaming the game! The stream will appear on the store page at the time! And, of course, if you are yet to do so, please do add Resort Boss: Golf to your Steam wishlist!